The liquid manure or other liquid substrates which are delivered by truck or by pipeline are stored temporarily in the receiving tank. From this tank the material is taken to be fed into the biogas plant several times a day. 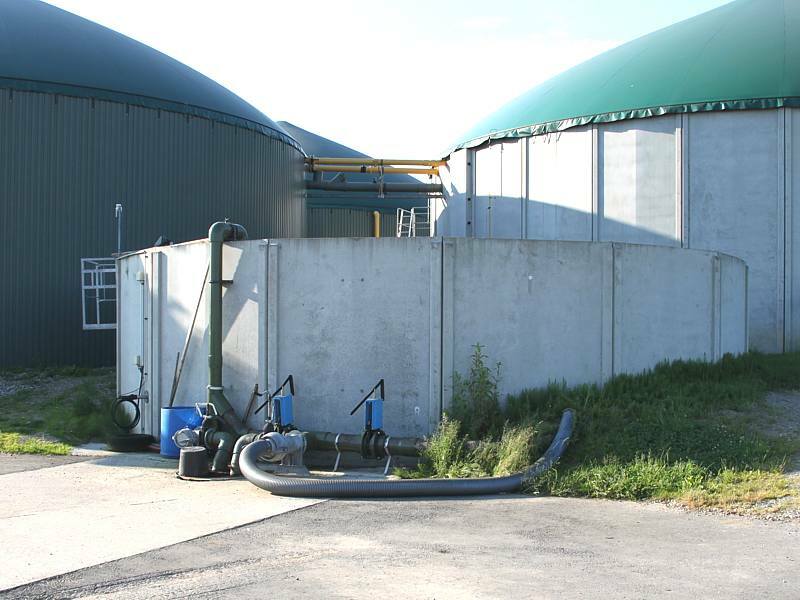 Before feeding into the plant by a slurry pump or a pump station, the container contents needs to be homogenized. On request, the submersible pump PTS can be delivered with gas-proof installation parts for use in the receiving tank. There are no galvanized parts in the transition zone between substrate and air (gas). The compact design allows fast installation resp. fast removal. The installation can be carried out vertically or horizontally. Available are pumps with motor ratings from 2.2 to 18.5 kW depending on the power requirements. In order to handle difficult substrate, the thick matter pump can be equipped with a top entry extension. 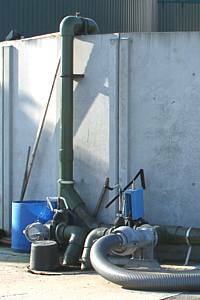 The pump features a mixing nozzle in the rising pipe. The drive can be performed by an electric motor or via tractor (power ratings from 11 to 30 kW).